Lakefront Acreage on Lake Wisconsin! Lake Wisconsin is certainly worth your consideration if you’re in search of lake homes for sale in Wisconsin. Ideally located in the heart of the state, and only around three hours from Chicago, Illinois, and a 30-minute drive north of Madison, Lake Wisconsin is a year-round recreation haven. Take to the water when the weather is warm and hit the ski trails once the snow begins to fall; and be confident that you can enjoy great fishing no matter what time of year you visit Lake Wisconsin! Situated in the Southern Savanna Region of the state, Lake Wisconsin is surrounded by the communities of Okee, Arlington, Merrimac, Poynette, Lodi, Portage, Sauk City, and Prairie du Sac. It’s no secret in these towns, and beyond state borders even, that Lake Wisconsin hosts some of the best year-round fishing you can find! Spend a little time on the open water and you’ll cross paths with the likes of walleye, muskie, perch, crappie, and bluegill. You’re also bound to catch large and smallmouth bass, along with gigantic lake sturgeon. Your entire neighborhood will thank you when you come home with one of these mammoth fish in the cooler: these fish can reach up to 100 pounds. You might just need a bigger boat after all! Look to the waters of Lake Wisconsin for so much more than fishing! 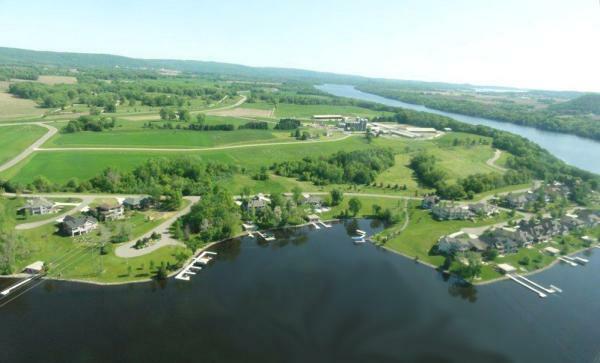 After all, the lake boasts 7,197 acres of water ready to accommodate your every recreation whim. Lake homes for sale hug 57 miles of pristine shoreline dotted here and there by waterfront restaurants, resorts, and marinas. Rent or launch your personal watercraft from any of the lake’s four full-service marinas and head out on the open water to pick up speed and make some waves. And when your stomach begins to growl, point your powerboat, Jet Ski, or sailboat in the direction of your choice of twelve restaurants to satisfy your appetite. Swimming and sunbathing along the water’s edge is another favorite pastime, as Lake Wisconsin’s pool enjoys constant circulation from its namesake river, which exchanges the water every four to six days. No matter how you choose to get wet, you’re sure to enjoy the splash! Dry off and experience all the outdoor recreation you like on land as well. When the chill sets in, head out from your lakefront property and take to the seemingly countless miles of downhill, snowmobile, and cross-country trails that surround the lake. You can also take in a healthy dose of green by playing any of the area’s twenty-five golf courses, like Baraboo, Reedsburg, and Spring Brook. The Lake Wisconsin Country Club, in particular, marries sweeping landscapes with challenging drives, always delivering a good game. If you’re interested in living on a Lake Wisconsin golf course, check out GolfHomes.com for property listings and details. Turn your visit to Lake Wisconsin into something special simply by letting the lake show you the way to a genuine good time today! The Scenic Lake of Wisconsin is 9,000 acres and the Wisconsin River are extremely popular for boating, water skiing, fishing, picnicking, and sightseeing. Resorts, campgrounds, and tourist attractions are present throughout the area. Fishing includes: walleye, muskellunge, northern pike, largemouth bass, smallmouth bass, white bass, trout, catfish, and crappie. 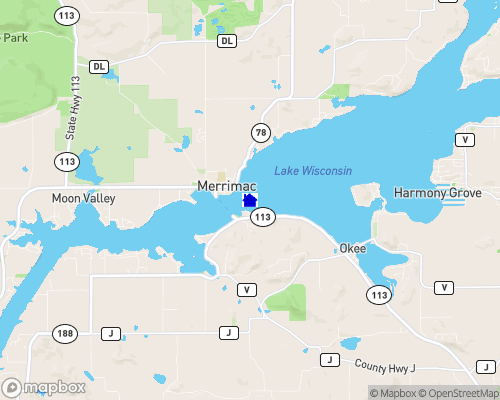 A car ferry across Lake Wisconsin operates at the town of Merrimac from mid- April through Ice-up. This popular tourist attraction is provided free of charge. Great for fishing of all kinds, 8 Restaurants available via Boat, Swimming and plenty of Sandbars to stop with your family & enjoy the afternoon. Depth of Lake: 47 ft.